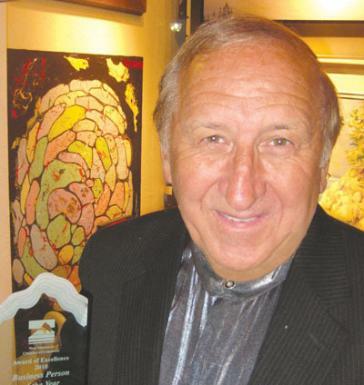 The Caulfeild Village Shopping Centre Merchant's Association would like to congratulate Luis Sopena who was awarded "Business Person of the Year" at West Vancouver's Chamber of Commerce Awards of Excellence, held on June 17 2010. Since opening shop more than 25 years ago, he has been a greatly involved in the Caulfeild community, dedicating his time to help organize events at the Caulfeild Village mall such as annual sidewalk sales, Community Day, Oktoberfest, and Halloween festivities. Luis is also a great supporter of the local schools taking part in school fundraisers and Grad celebrations. “In a community like Caulfeild, the more you give to them, the more they give back to you."